As work on the Imlay Street beautification moves towards completion, Bega Valley Shire Council is encouraging the Eden community and the town’s business people to take part in a ‘Place Activation Workshop’. “Place-making refers to the creation of a productive small business environment that has the added spin off of providing a positive community space,” said Leanne Barnes, General Manager of Bega Valley Shire Council. “Increasingly, communities must take into account the importance of place to attract and retain small businesses, and it is certainly part of Council’s thinking around the Imlay Street improvements,” she said. 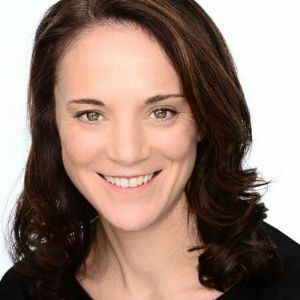 With the support of the NSW Government, the NSW Small Business Commissioner and the Business Enterprise Centre, expert Katherine O’Regan will be in Eden on May 19 to run a free workshop. Katherine brings extensive experience in developing and implementing strategies for place management, activating community and building the local economy. “I look around and see people with skill, talent and passion for their town,” Mrs Barnes said. The benefits of ‘place activation’ flow beyond the cash registers and build community spirit and improve mental health. “The bigger picture is about a local economy that gives young people an opportunity to stay in Eden and also adds to the tourist appeal of the town,” Mrs Barnes said. The free workshop will be held on Thursday May 19 from 5:30pm to 7:30pm at the RSL Memorial Hall on Calle Calle Street Eden. To book a spot or find out more call the Business Enterprise Centre on 6297 3121. Light refreshments will be provided by the Eden Lionesses, Sprout Eden and the school children of Eden.